This Flickr infinite scroll application allows the user to Search images based on tags and load images infinitely and display the number of images loaded on a status bar. I need to made it more modular and reusable. feel free to suggest. The code can be download from here https://github.com/dev1212/Flickr-InfiniteScroll . Despite its archaic syntax… some more interesting projects that have crossed my rss feed. Quartz is a richly featured, open source job scheduling library that can be integrated within virtually any Java application. More information about Quartz can be found at this link. If you are using Maven, add the Quartz dependency to your pom.xml file. The above trigger/scheduler servlet runs the job after every 10 seconds. Do you need certain information in the form of text from scanned copies of documents.Either you can write the whole text by typing or you can use an OCR software.OCR (optical Character recognition) is method to extract text from images.It can recognise handwritten,printed or typewritten text and can reproduce them into editable word or txt format. These OCR software also preserve the formatting of the original scanned document into converted document.They are not 100% accurate and the converted document still requires some editing.But it is better to use an OCR software and do some editing rather to type the whole Document. 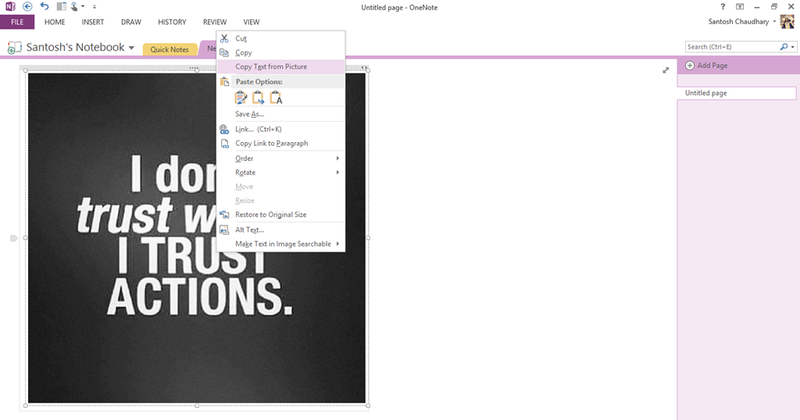 if you have Microsoft office installed in your computer then you won’t need any other third-party software as you can use Microsoft Office OneNote to copy text from image.